Bottom Line: Lentinan, a polysaccharide extracted from Shiitake, may help extend the survival of patients with some cancers when used with chemotherapy. The medicinal properties of Shiitake mushroom are attributed to a polysaccharide (sugar molecule) named lentinan, on which extensive research has been done. Lentinan is a polysaccharide called a 1,3 beta glucan. In laboratory tests, lentinan does not kill cancer cells directly, but enhances a number of aspects of the immune system, which may aid in the slowing of tumor growth. Lentinan also kills viruses and microbes directly in laboratory studies. Most studies involving lentinan involve intravenous or intramuscular injections. It is uncertain whether ingestion of shiitake mushrooms provides similar effects. One clinical trial has shown shiitake extract alone is not an effective treatment for prostate cancer. More studies are needed. 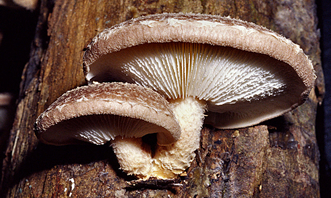 A Shiitake extract was found ineffective for the treatment of prostate cancer. But an oral formulation of Lentinan was shown effective in extending the survival in patients with stomach, colorectal, pancreatic cancers and hepatocellular carcinoma. Larger studies are needed to confirm this. Lentinan has a cholesterol-lowering effect in lab studies, but there is no proof from clinical trials that either lentinan or shiitake mushrooms can lower cholesterol in people. Lentinan stimulates the activity of certain immune cells in lab studies and in people. However, it is unclear if lentinan or shiitake are effective in treating diseases such as AIDS and cancer. Few clinical studies have been performed with shiitake mushrooms. However, lentinan, the active compound present in shiitake mushrooms, has been studied in cancer patients. Shiitake mushrooms are a common part of the diet in many cultures. It is unknown what dose of lentinan is absorbed through the gastrointestinal tract when shiitake mushrooms are consumed. Shiitake mushroom, native to East Asia, is cultivated worldwide for its purported health benefits. The fresh and dried forms of the mushroom are commonly used in East Asian cooking. It is also valued as an anticancer agent. Lentinan (1,3 beta-D-glucan), a polysaccharide isolated from Shiitake, has been well studied and is thought responsible for the mushroom’s beneficial effects. It was shown to have anticancer effects in colon cancer cells (1), which may be due to its ability to suppress cytochrome P450 1A enzymes that are known to metabolize pro-carcinogens to active forms (2). Lentin, the protein component, has strong antifungal properties, inhibits proliferation of leukemic cells, and suppresses the activity of human immunodeficiency virus-1 reverse transcriptase (3). Studies conducted with Shiitake extracts in vitro and in mice revealed the mushroom’s antiproliferative (4), cytotoxic (21), immunostimulatory (4), hepatoprotective (5), antimutagenic (6), and anticaries (7) properties, but a clinical trial failed to show effectiveness in the treatment of prostate cancer (8). Results from two small studies of HIV-positive patients who were administered intravenous lentinan showed a statistically insignificant increase in CD4 cells and neutrophil activity in some patients; researchers also reported severe adverse effects in some patients (9). But improvements in quality of life and survival were seen with an oral formulation of superfine dispersed lentinan in patients with hepatocellular carcinoma (15), gastric (16), colorectal (17), and pancreatic (18) cancers. An orally administered Shiitake mycelial extract decreased the incidence of adverse effects associated with chemotherapy in a small study of patients with advanced gastrointestinal cancer (22). 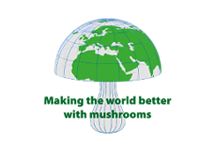 Large scale studies are needed to establish Shiitake as a useful adjunct to cancer treatment. Available as fresh or dried whole mushroom. Lentinan possesses immune-regulatory, antimicrobial, anti viral, and cholesterol-lowering effects (13). The water extract of shiitake decreased IL-1 production and apoptosis in human neutrophils. However, it increased apoptosis in U937 monocytic cell line (14). Lentin, the protein component of shiitake, has strong antifungal effects. An in vitro study has shown lentin can inhibit the proliferation of leukemia cells and suppress the activity of human immunodeficiency virus-1 reverse transcriptase (3). Chronic hypersensitivity pneumonitis was observed in a lung cancer patient following exposure to Shiitake spores (10). Prolonged consumption of Shiitake powder resulted in dermatitis, photosensitivity (11), eosinophilia, and gastrointestinal upset (12). Intermittent skin eruptions (dermatitis), over a period of 16 years, were linked to consumption of shiitake mushrooms in a 45-year-old male (19). Food allergy manifested as oesophageal symptoms was reported in a 37-year-old man following consumption of shiitake mushroom (20). Hypersensitivity pneumonia was reported in a 37-year-old man following inhalation of Shiitake mushroom spores (23). Dermatitis has been reported after consumption of raw or cooked shiitake mushroom (24) (25) (26). Consumption of raw shiitake mushrooms led to flagellate erythema, characterized by pruritic, erythematous eruption of multiple linear streaks on the trunk and extremities (27). Swallowing a whole shiitake mushroom caused small bowel obstruction resulting in necrosis and mucosal damage in the small intestine (28). Few significant clinical studies have been performed with the shiitake mushroom. However, lentinan, a polysaccharide component of the mushroom, has been studied extensively. Okamoto T, Kodoi R, Nonaka Y, et al. Lentinan from shiitake mushroom (Lentinus edodes) suppresses expression of cytochrome P450 1A subfamily in the mouse liver. Biofactors. 2004;21(1-4):407-409. Ngai PH, Ng TB. Lentin, a novel and potent antifungal protein from shitake mushroom with inhibitory effects on activity of human immunodeficiency virus-1 reverse transcriptase and proliferation of leukemia cells. Life Sci. Nov 14 2003;73(26):3363-3374. Akamatsu S, Watanabe A, Tamesada M, et al. Hepatoprotective effect of extracts from Lentinus edodes mycelia on dimethylnitrosamine-induced liver injury. Biol Pharm Bull. 2004;27(12):1957-1960.
de Lima PL, Delmanto RD, Sugui MM, et al. Letinula edodes (Berk.) Pegler (Shiitake) modulates genotoxic and mutagenic effects induced by alkylating agents in vivo. Mutat Res. 2001;496(1-2):23-32. Shouji N, Takada K, Fukushima K, Hirasawa M. Anticaries effect of a component from shiitake (an edible mushroom). Caries Res 2000;34(1):94-98.
deVere White RW, Hackman RM, Soares SE, Beckett LA, Sun B. Effects of a mushroom mycelium extract on the treatment of prostate cancer. Urology 2002;60(4):640-644. Suzuki K, Tanaka H, Sugawara H, et al. Chronic hypersensitivity pneumonitis induced by Shiitake mushroom spores associated with lung cancer. Intern Med 2001;40(11):1132-1135. Hanada K, Hashimoto I. Flagellate mushroom (Shiitake) dermatitis and photosensitivity. Dermatology. 1998;197(3):255-257. Levy AM, Kita H, Phillips SF, et al. Eosinophilia and gastrointestinal symptoms after ingestion of shiitake mushrooms. J Allergy Clin Immunol 1998;101(5):613-620. Sia GM, Candish JK. Effects of shiitake (Lentinus edodes) extract on human neutrophils and the U937 monocytic cell line. Phytother Res 1999;13(2):133-7. Isoda N, Eguchi Y, Nukaya H, et al. Clinical efficacy of superfine dispersed lentinan (beta-1,3-glucan) in patients with hepatocellular carcinoma. Hepatogastroenterology. 2009 Mar-Apr;56(90):437-41. Hazama S, Watanabe S, Ohashi M, et al. Efficacy of orally administered superfine dispersed lentinan (beta-1,3-glucan) for the treatment of advanced colorectal cancer. Anticancer Res. 2009 Jul;29(7):2611-7. Shimizu K, Watanabe S, Watanabe S, et al. Efficacy of oral administered superfine dispersed lentinan for advanced pancreatic cancer. Hepatogastroenterology. 2009 Jan-Feb;56(89):240-4. Garg S, Cockayne SE. Shiitake dermatitis diagnosed after 16 years! Arch Dermatol. 2008 Sep;144(9):1241-2. Goikoetxea MJ, Fernández-Benítez M, Sanz ML. Food allergy to Shiitake (Lentinus edodes) manifested as oesophageal symptoms in a patient with probable eosinophilic oesophagitis. Allergol Immunopathol (Madr). 2009 Nov-Dec;37(6):333-4. Yukawa H, Ishikawa S, Kawanishi T, Tamesada M, Tomi H. Direct cytotoxicity of Lentinula edodes mycelia extract on human hepatocellular carcinoma cell line. Biol Pharm Bull. 2012;35(7):1014-21. Ampere A, Delhaes L, Soots J, Bart F, Wallaert B. Hypersensitivity pneumonitis induced by Shiitake mushroom spores. Med Mycol. 2012 Aug;50(6):654-7. Chu EY, Anand D, Dawn A, Elenitsas R, Adler DJ. Shiitake dermatitis: a report of 3 cases and review of the literature. Cutis. 2013 Jun;91(6):287-90. Adriano AR, Acosta ML, Azulay DR, et al. Shiitake dermatitis: the first case reported in Brazil. An Bras Dermatol. 2013 May-Jun;88(3):417-9. Hamer S, Rabindranathnambi R. A wide-spread flagellate dermatitis. BMJ Case Rep. 2013 Jan 3;2013. Wang AS, Barr KL, Jagdeo J. Shiitake mushroom-induced flagellate erythema: A striking case and review of the literature. Dermatol Online J. 2013 Apr 15;19(4):5. Kusumoto M, Koganemaru M, Nakayama G, Iwamoto R. Dietary small bowel obstruction. BMJ Case Rep. 2013 Jan 25;2013.